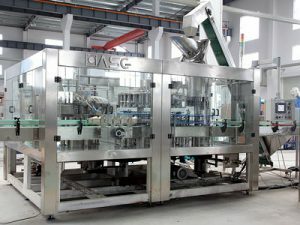 GXGF Monoblock juice filling machine is automatically sterilizing, washing (blowing dust), filling and capping machine. 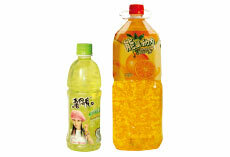 It can be used to fill all kinds of edible oil, high viscosity milk product, fruit drink with particles, garden spared stuff catsups(such as juice) and low foaming liquid. 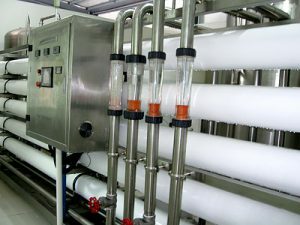 Also it can fill cosmetic, pesticide, etc. 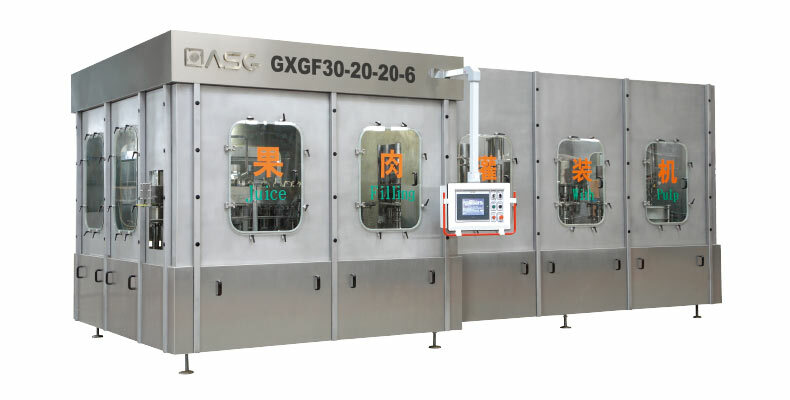 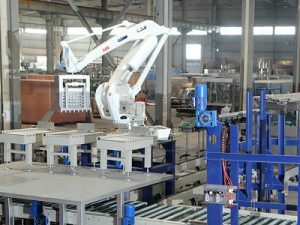 The GXGF SERIES 3-in-1 MONOBLOCK adopt advanced technology can be widely used in different fields. 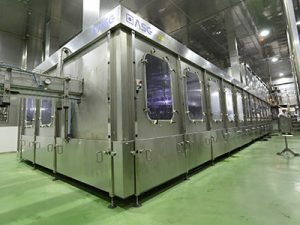 Monoblock juice filling machines have compact structure, good appearance, ease operation, high automatism and low labor intensity. 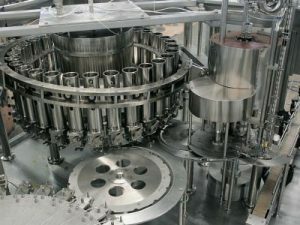 Monoblock juice filling machine capping heads adopt magnetism permanent torque device, which can guarantees the quality of sealing cap, and also does not damage the cap. 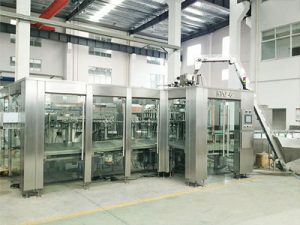 Monoblock juice filling machine control system has many functions, such as control producing speed, cap shortage detection, bottle block automatic stop and production counting etc. 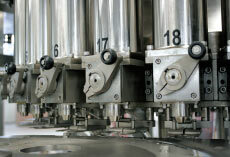 Monoblock juice filling machine electric components and pneumatic components are all introduced from world famous brand products. 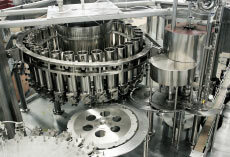 Monoblock juice filling machine human-machine interface operation of the whole machine is realized by advanced pro-face.